Amidst all the chaos created by the rain, the crew of Haseena Parkar stayed committed to their statement and arrived at on time for the launch of their romantic song ‘Tere Bina’. The song which features Shraddha Kapoor and Ankur Bhatia has been sung by Arijit Singh and Priya Saraiya and composed by Sachin-Jigar. 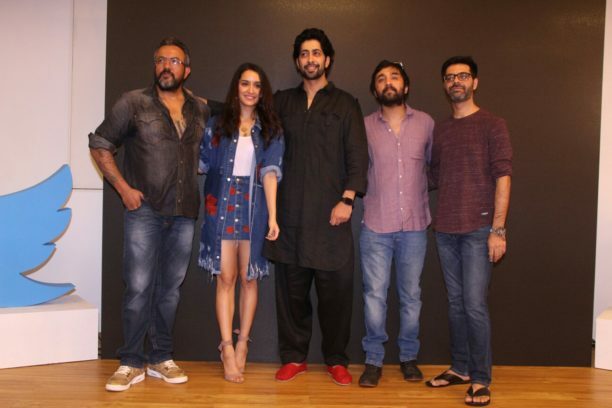 Being in the speculations about the release date, Director Apoorva Lakhia declared live that the movie is not getting pushed and will be releasing on the same date as it was announced that is 22nd September. 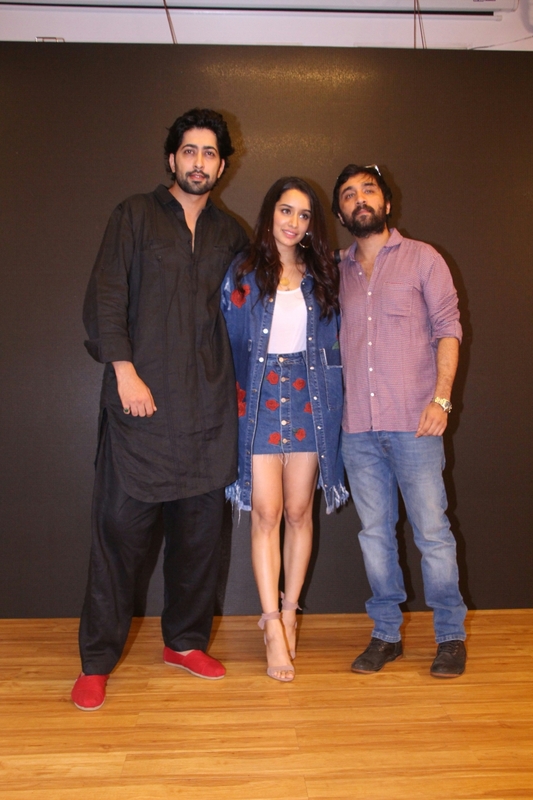 Present at the song launch were Director Apoorva Lakhia, Shraddha and Siddhanth Kapoor, Ankur Bhatia and composer Jigar from Sachin-Jigar. Directed by Apoorva Lakhia, Haseena Parkar starres Shraddha Kapoor, Siddhanth Kapoor and Ankur Bhatia. Produced by Nahid Khan with Swiss entertainment and co-produced by Sameer Antulay & Babu Tyagi the film is set to release on 22nd September 2017.